Home » What Is The Best Oil For Deep Frying? Deep frying at home is simple, but choosing the best oil for deep frying sometimes isn’t. Discover the criteria for quality deep frying oil and choose from the list of best oils for deep frying. There are five goals for deep frying. Minimal fat absorption from the oil. Minimal moisture loss from the food (aka, not overcooked). Appealing and attractive golden brown color. Crispy surface or coating with a fully cooked yet moist interior. No off-flavors imparted from the cooking oil or fat. When all of these criteria come together, you get the golden brown glory of a a perfectly fried food. To achieve this though, we need to focus on a foundational ingredient, the oil, and figure out what the best oil is for deep frying. How Do I Choose The Best Oil For Deep Frying? Frying food at home is much simpler than you may think. 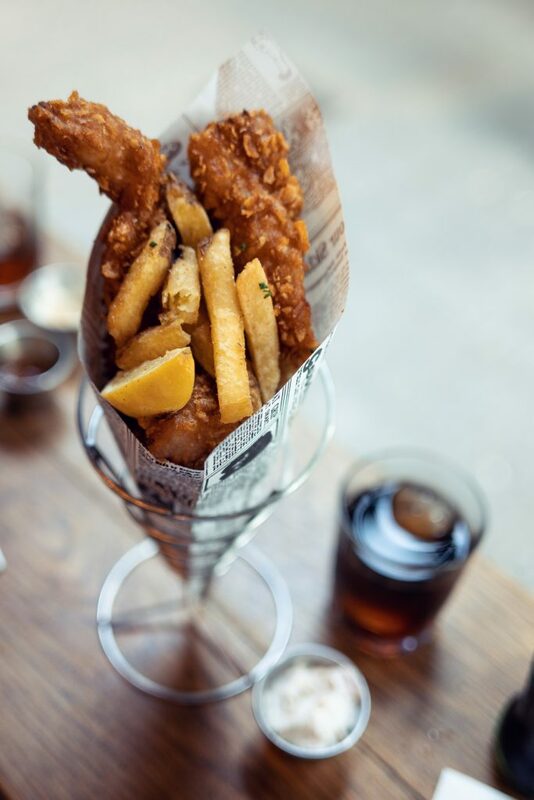 All of those delicious fried foods that you crave going out to a restaurant for can be easily made in the comfort of your own kitchen with a quality deep-fryer or pot, and the right kind of oil. If you just throw in any cooking oil that you have sitting around, it can result in a kitchen fire or dangerous burns. Thankfully, there are many oils that can be safely used for deep frying. In order to choose the best oil for deep frying, you need to prioritize the flavor and the smoke point. One of the important thing in choosing the best oil for deep frying is getting one with a neutral flavor. You don’t want your french fries tasting of bitter extra virgin olive oil, right? You want them to taste like french fries! This is where the decision of refined versus unrefined oils come in. Oil is made by pressing a nut or seed until the oil naturally releases. This also means that other stuff like wax, small pieces of the nut or seed, or even dirt may get into the oil. Leaving it like this makes it unrefined. It goes through no further processing to make the oil more palatable or appealing. Oils labeled extra virgin, raw, or “cold-pressed” are the most common. Think: coconut oil. When choosing the best oil for deep frying at home, you want to keep in mind that some of these compounds that are left in the oil may not mix well with heat. Some of them may have reactions to high temperature causing them to alter and become potentially dangerous. Refining the oil means that through the process of filtering, bleaching, deodorizing, or some other procedure, the oil is made more palatable, like with canola oil. Does this mean that the oil is bad, or unhealthy? No, not really. In fact, there has been so much debate over this that there is now a new category of oils called “semi-refined”, which means that there has been no chemical processing done, just filtering or heat. Many refined oils, like avocado oil, use minimal refining to keep the quality as high as possible while still achieving a neutral flavor. What Is A Smoke Point? Why Does It Matter? The smoke point is the temperature at which the oil or fat begins to make smoke. For proper deep frying, the temperature of the oil needs to reach between 350°F-375°F. That means that the smoke point of the oil needs to be at least 25°F higher than that temperature range, ideally 400°F. Not every oil meets that requirement for a high smoke point. Ones that are refined usually have a higher smoke point since impurities and harmful compounds are removed. Does The Type Of Food Determine The Best Oil For Deep Frying? Did you know that most oils can be reused one to two times, depending on the deep fried foods cooked in it? The stronger the flavor of the food, like fish, the quicker that flavor will absorb into your oil. As a result, the only time that that the type of food determines the best oil for deep frying is when you are reusing it. Have you ever gone to a restaurant and had your fries taste like fish? This is the result of overused oil. If you are nervous that your frying oil has some unintended off-putting flavors, you can replace about 15% of the oil with fresh to reduce the potency of the flavors. Or, you can just replace it. What Is The Best Oil For Deep Frying In A Healthy Way? As a general rule, deep frying is one of the unhealthiest cooking methods. Foods that are deep fried are often higher in saturated fat, which contributes to heart disease. However, when it is done correctly, the unhealthiness can be minimized . To do this, you need to focus heavily on HOW you are deep frying. As I mentioned before, deep frying is a high heat cooking method where the heat should be between 350°F-375°F. When you cook below this temperature range, your breading absorbs more oil and becomes excessively greasy. Thus, contributing unnecessary fat consumption. Use a well calibrated frying thermometer and a watchful eye to ensure that the temperature of the oil stays in this range. Additionally, the amount of food you put in your oil at a time affects the temperature. The more you add, the quicker it reduces the temperature of your oil. If the temperature decreases enough, the food begins to over absorb oil. Work in small batches as much as possible to combat this issue and keep your deep frying as healthy as possible. Lastly, to keep that temperature range from altering, try keeping your ingredients room temperature (or as close to), if possible. I realize this is difficult with meat, but can be easily achieved with some foods. 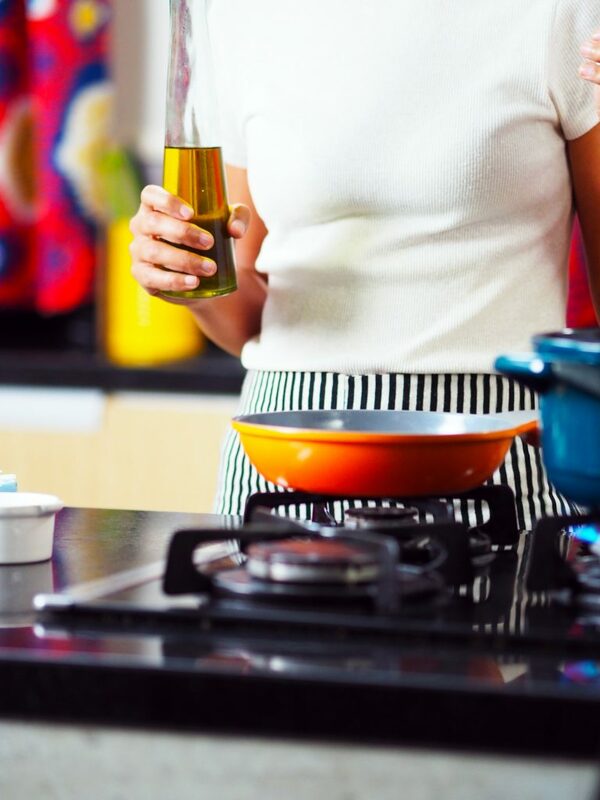 Once you’ve opened your cooking oil, you want to keep it as fresh as possible for further cooking. Already used fryer oil should be utilized within 24 hours. Certain things like heat and light degrades the quality of the oil and increases the chances of them going rancid. In order to protect the oils, keep them tightly sealed and stored in a cool, dark place. Wrapping the bottles in aluminum foil or placing them instead of a dark, sealed container will prolong them further. If you have a flavorful oil, like sesame or walnut oil, and it doesn’t get used much, consider keeping it in the refrigerator. This will help give it a longer shelf-life since it unlikely to be used quickly. Whether you’re using a pot or an electric deep fryer, the best type of oil for deep frying at home is one that has a high smoke point and neutral flavor. With the help of my favorite culinary resource, Modernist Cuisine, I’ve put together this list of oils for you.